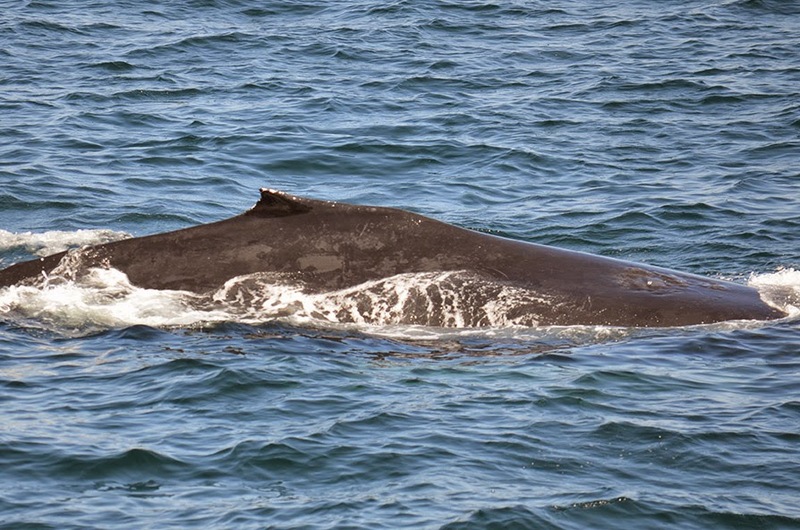 This morning on the Asteria we headed out to the southwest corner of Stellwagen Bank in search of whales. We had great conditions out on the water and we saw a couple different blows around us as we approached the bank. We started our trip with a quick close look at a Minke whale just off our bow, but we decided to investigate a whale in the distance that was making quite a bit of splashing. Once we got closer we ID’d this whale as Blackhole. Blackhole was taking 3 minute dives and was bubble cloud feeding as well. Blackhole is a familiar whale out on Stellwagen, we sighted her earlier in the season but is a new sighting in the area in the past week. We then noticed some blows in the distance and decided to get closer looks at this group. Just as we were approaching the area where these whale had gone down on a dive, 3 whales popped up right off our bow and were swimming towards us! 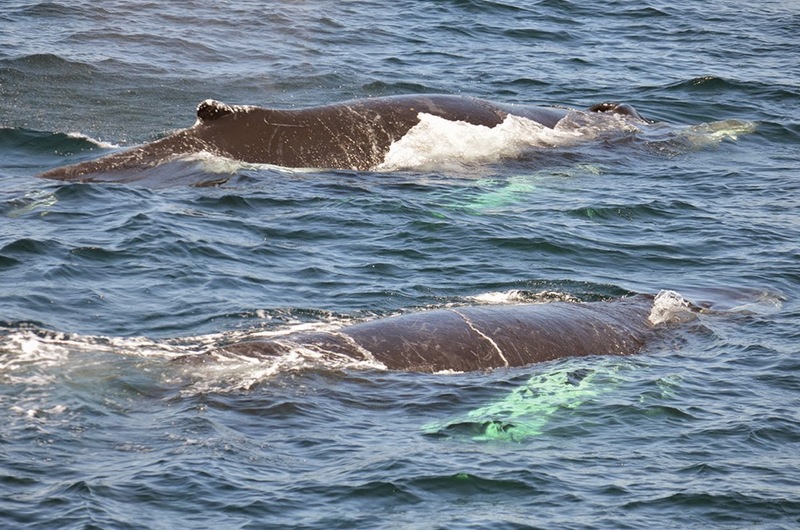 Passengers got amazing close looks as these whales swam beneath our boat. 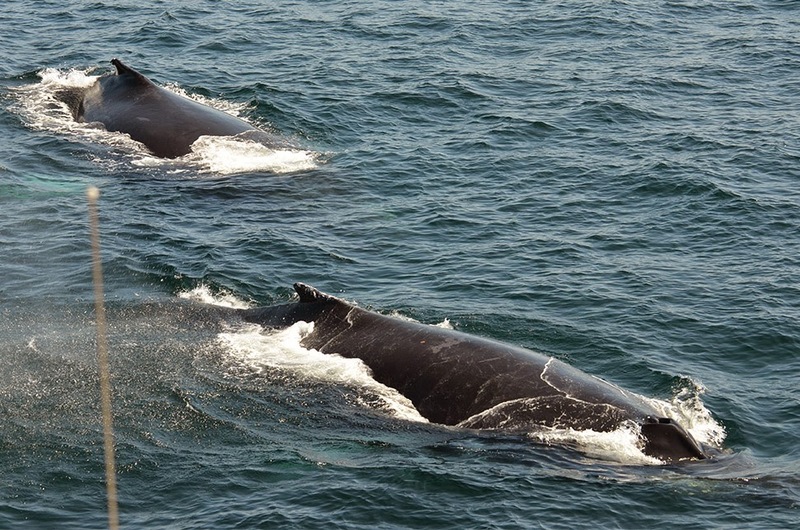 We were able to ID these 3 as humpbacks named Pele, Eruption, and Storm. This group was probably feeding well below the surface, and were consistently surfacing as a trio. We’ve been sighting this group pretty consistently over the past few days usually with Nile and her calf nearby which may have been a pair of whales about a half a mile away! 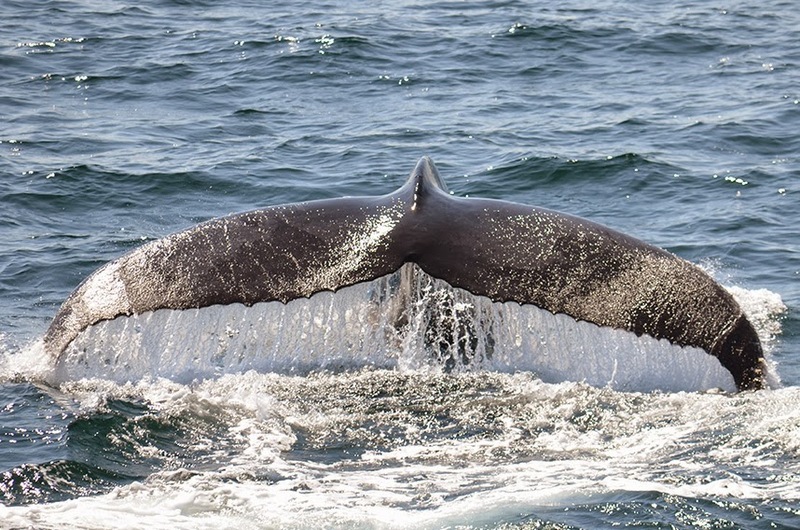 These whales haven’t been moving all that much over the past few days which will hopefully continue to the future.